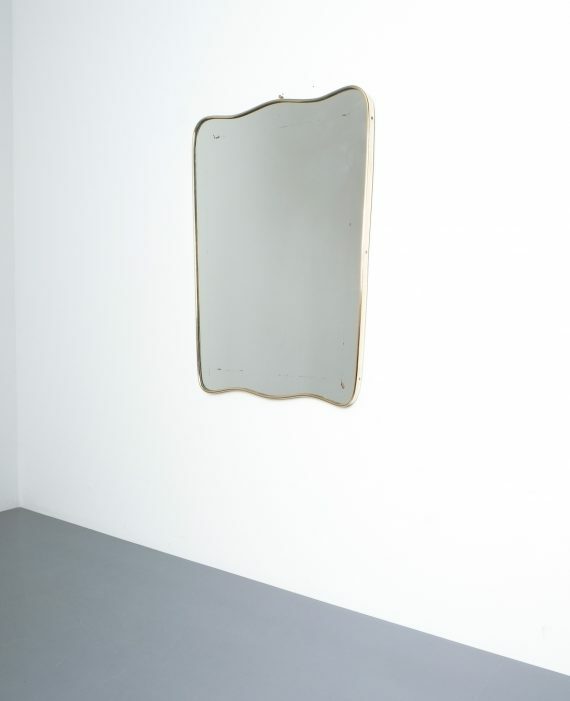 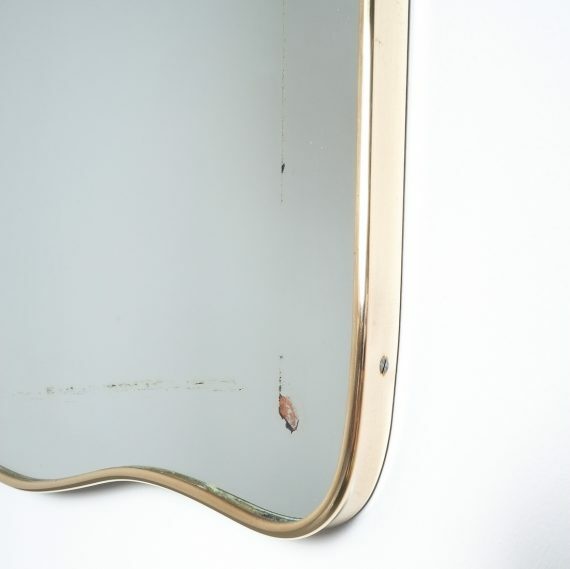 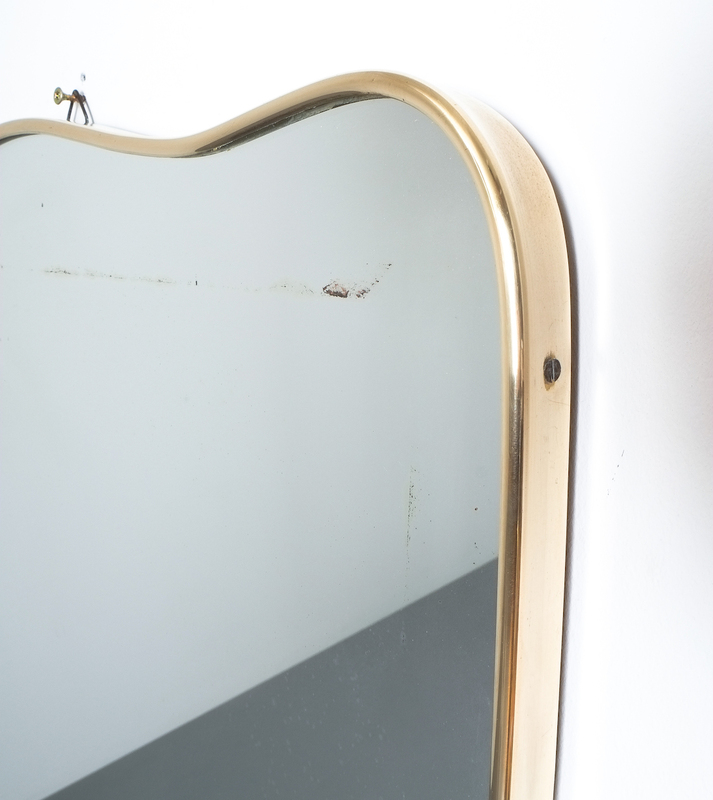 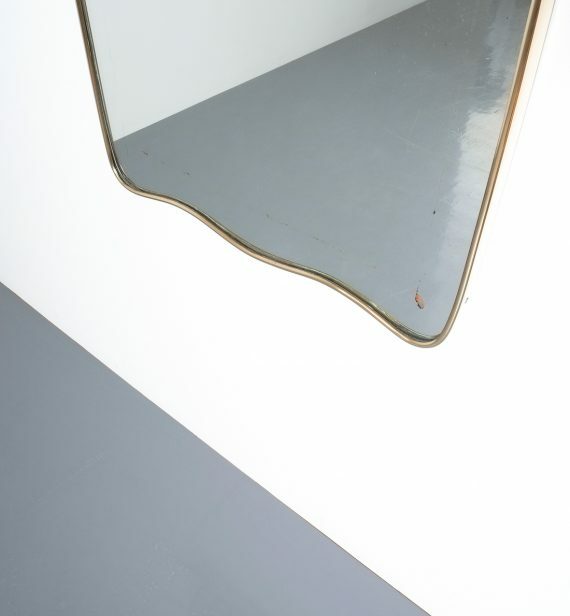 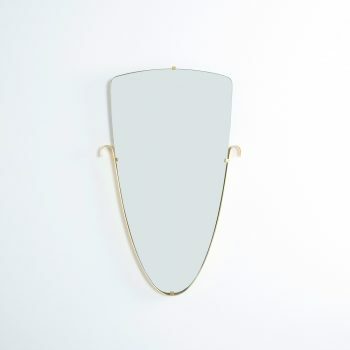 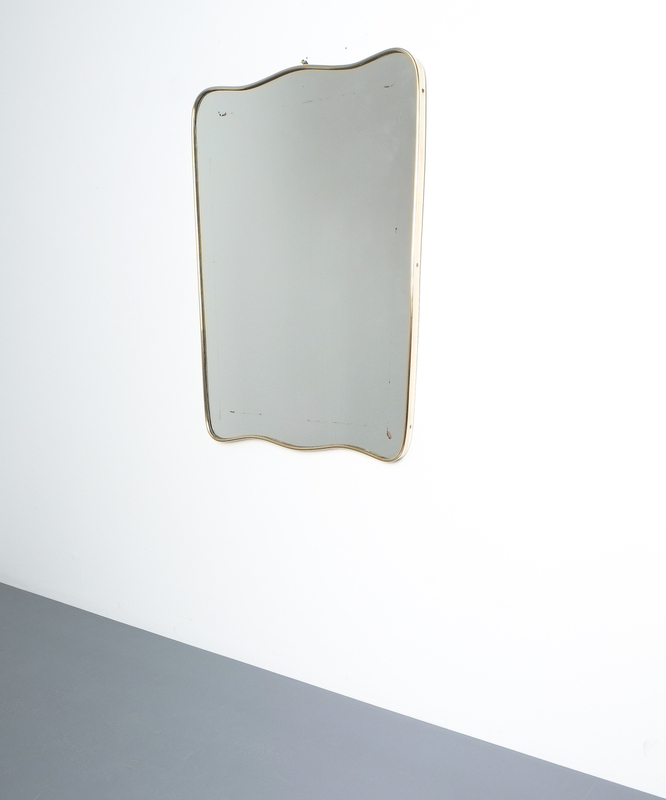 Curved Italian Wall Mirror Minimal Brass Frame, Italy Circa 1955. 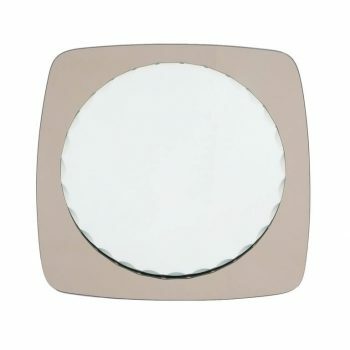 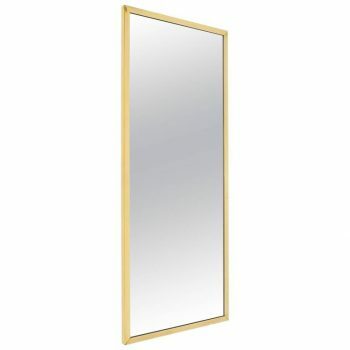 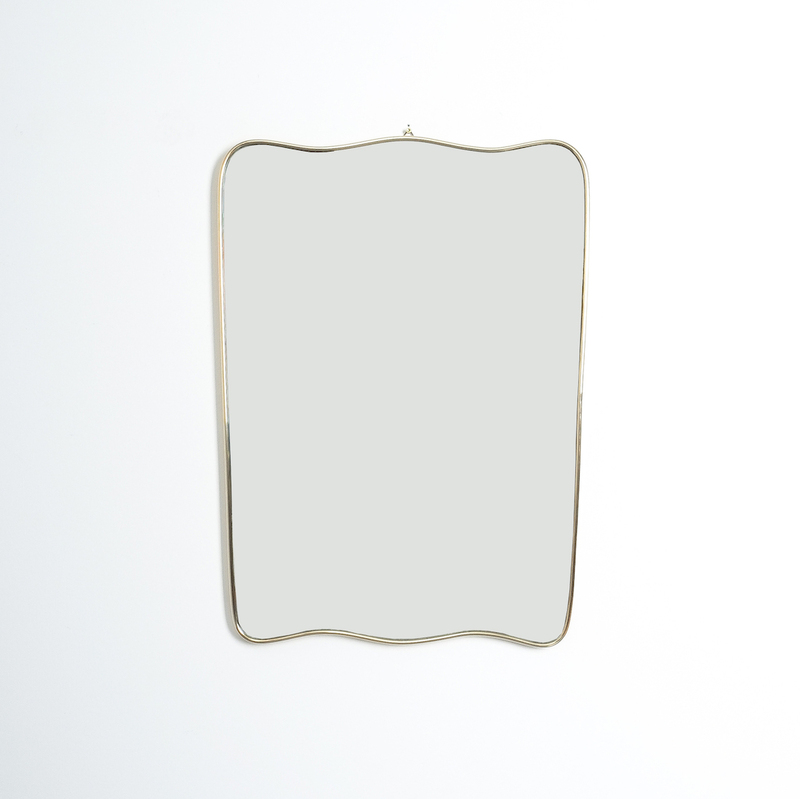 Elegant and large wall mirror with a slender brass frame are in good condition. 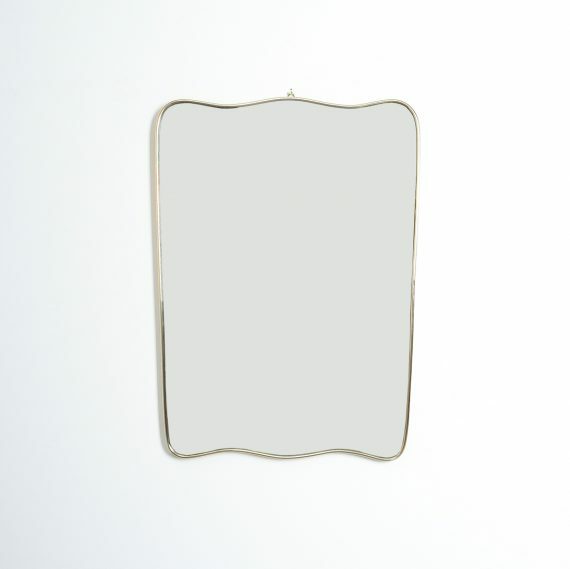 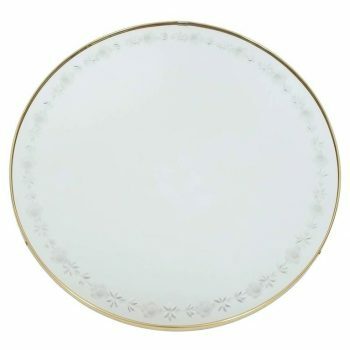 Dimensions are 20.47″ x 28.34″ x 1.18″.